We have just created a new video for YouTube featuring a selection of our headshot portfolio and to give you some ideas and inspiration for your own headshots to use on social media and the web generally. We regularly shoot professional business headshots for LinkedIn as well as Website Profiles, Actors entertainers, DJ’s, Musicians, Dancers and online entrepreneurs. hen you need to class natural and relaxed headshots pop over to see us at Only Headshots in Kidderminster. It will be a quick, painless and fruitful experience and you’ll end up with the best headshots you have ever had. Go on get ahead and invest in yourself with a new headshot from Only Headshots. We look forward to shooting you soon. The photograph you choose for your online dating profile is one of the most important photographs you will ever have taken – we have taken lots of these dating profile headshots for men and women who know that their profile picture is just as important as the words you write in your profile and will have a big impact on the people your advert will attract. We will show the real, natural you, attractive, authentic, friendly and engaging, but always you at your very best. A great dating headshot will attract more of the right sort of interest you are looking for and will show your true personality. For ladies we also offer a pre-shoot makeover with professional natural makeup and hairstyling this will give you added confidence. So let us capture the perfect image of you that shows off your personality, looks and charisma. We will make you feel great about yourself. Don’t leave an image which is so important to your future to chance. People are sometimes shy about inquiring about dating website pictures ( the fact is we do lots of them ) many people, both men and women have come along for business headshots and have then asked if they can have a few suitable for dating websites to be taken when they have got here – this is never a problem and we are always happy to help. Even if you are one of those people who says I never like pictures of myself or I have never had a good photograph taken of me – let us surprise you with our warm welcome, relaxed, calm and easy to follow direction, fabulous lighting and super high-quality results that will show we have created the perfect moment and we have captured some images you will be proud of forever. 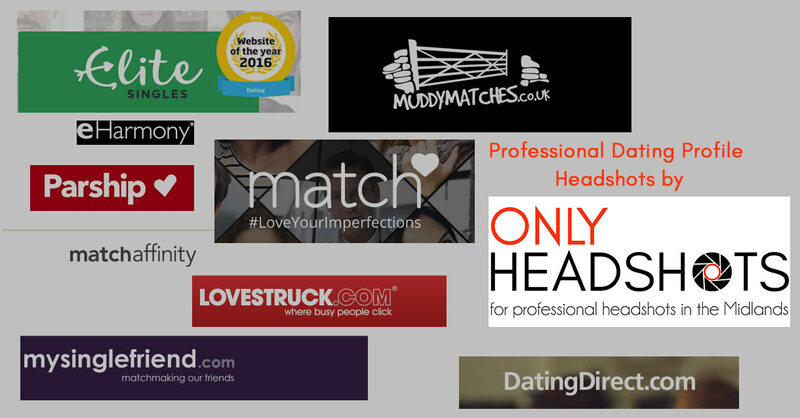 More and more people are looking for professionally taken dating website profile pictures they are always so much more flattering than a picture taken on holiday with someone in the picture cut out. Let us take some fun, flirty shots for your online dating profiles.Let us bring out your personality and create images which will really play to your strengths. We have been told that our ur dating profile photography has worked very successfully many times. They take a bit of making but multi-expression headshots do have an impact all of their own. Ideal for Pinterest and Instagram we can create 9, 12, 16, 20 or 24 expression headshot montages which as well as being a fun way to show off your personality they are also a great way of showing the depth and breadth of your expression repertoire. Here we have an actor showing off his personality beautifully. 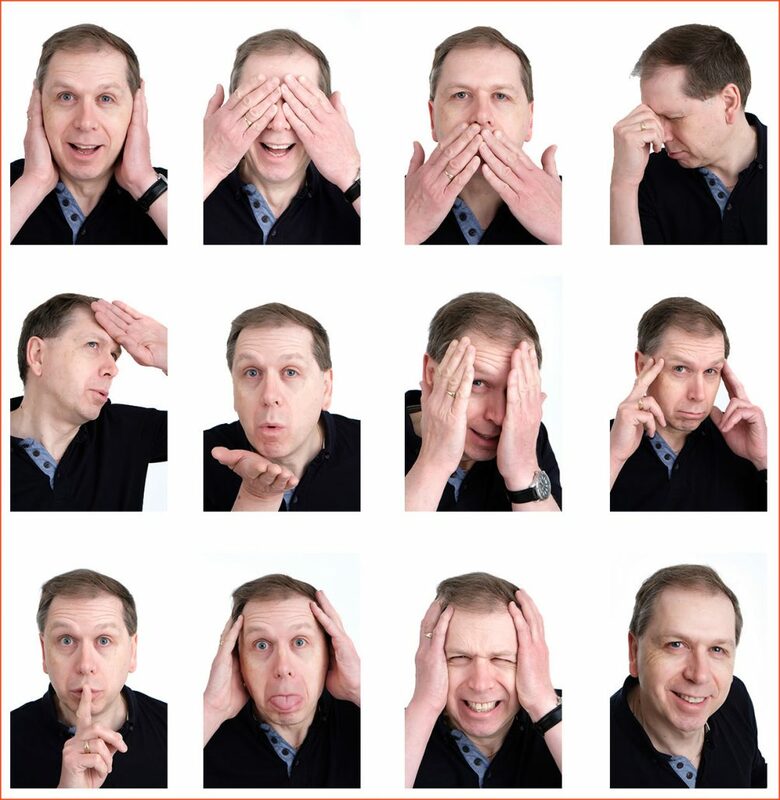 We will quickly direct you through a wide range of expressions and choose all your favourite expressions to create your own unique multi-expression headshot. If you have ideas about how you would like your multi-expression headshots to look as an end result we are happy to work with you to get the exact results you are looking for. Over the last few years with more and more imagery and headshots being required for use on websites there has been a move toward wide format or landscape headshots. This format or square format headshots often look better and are frequently requested by web designers so required for website use to follow the format of a tablet or PC screen and several social media sites like Twitter and Facebook and Google Plus ask for a square headshot so it is always best to ask for your headshot in a variety of crops. Often several different pictures are the favourite option as some shots, particularly upright portrait headshots, do not lend themselves readily to being cropped in different ways. Here at ” Only Headshots ” we are happy to show you your headshots in different crops and incorporate a variety of styles and different crops into your shoot. If you need to have your headshots resized to particular sizes for any social media or website use and you have the dimensions with you, we will happily resize your images so that you have them in different sizes ready to use. We supply your Wide format or Landscape format Headshots headshots in Black & White and Colour at no extra cost. Only Headshots based in Kidderminster, Worcestershire offer Professional Headshot Images created by Sammy Southall Photography. We have always been known for our first class professional headshot photography. These past few years have seen a big increase of clients who recognise the value and importance of a high-quality headshot, as we are asked so frequently for this service we have decided to create our web showcase of Only Headshots. We have always created high-quality, media headshots for Models, Actors, D.J's, Radio Presenters and Musicians. In the last five years, we have been taking more and more professional business headshots for use on websites, LinkedIn and Social Media - we have the experience of having photographed many Business People, Barristers, Solicitors, Authors. In the West Midlands and Worcestershire. We have lots of Headshot Deals available.